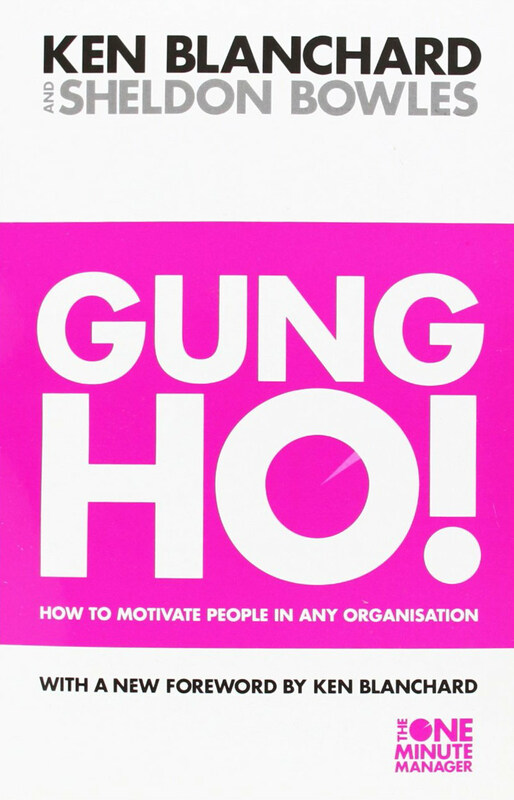 Gung Ho by Ken Blanchard is essentially all about how to work together better. The theory comprises of three key elements. The Spirit of the Squirrel (doing worthwhile work). Likened to a Squirrel because they work with purpose and therefore dedication. It is about the understanding that what we do makes the world a better place. It’s how our work helps others. The result is a higher self esteem that makes individuals feel good about themselves and the work they do. The Way of the Beaver (in control of achieving the goal). Likened to a beaver as beavers do their work their own way. They work freely and get the job done at the same time. Blanchard speaks of a playing field with clearly marked territory. Goals and values define the playing field and the rules of the game. Leaders decide what position team members play in. Freedom to take charge comes from knowing exactly what territory is yours. Thoughts, feelings, needs, and dreams are respected, listened to, and acted upon. You can’t be in control unless the rest of the organization supports you and doesn’t rip you, or your work, apart. The Gift of the Goose (cheering each other on). Likened to Geese as they cheer on fellow geese during flight. It is about active or passive congratulations that must be T.R.U.E. – Timely, Responsive, Unconditional and Enthusiastic. Congratulations are affirmations of who and what people are and that they do matter, and deliver valuable contribution towards achieving the shared mission.